Colon Care Caps is designed by Yerba Prima for everyday use. 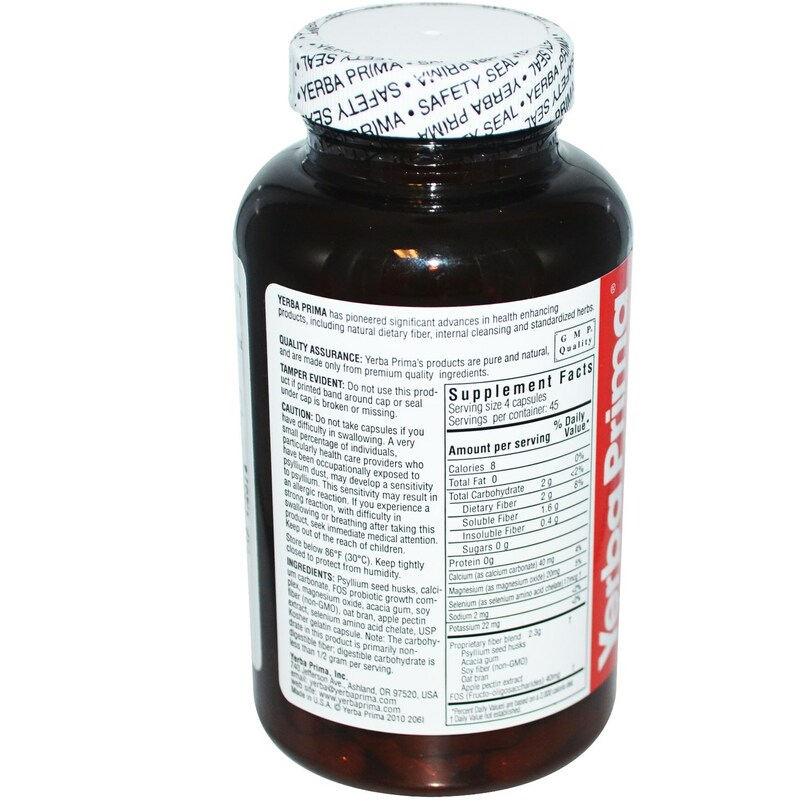 Warnings: Do not take capsules if you have difficulty in swallowing. A very small percentage of individuals, particularly health care providers who have been occupationally exposed to psyllium dust, may develop an allergy to psyllium. If you experience a strong allergic reaction, with difficulty in swallowing or breathing, seek immediate medical attention. Keep out of the reach of children. Notes: Most people do not get enough fiber in their normal diet. 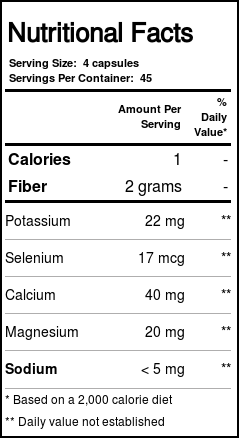 A daily fiber intake of 25 - 35 grams is recommended for good health, but on average people consume only 10 to 15 grams. 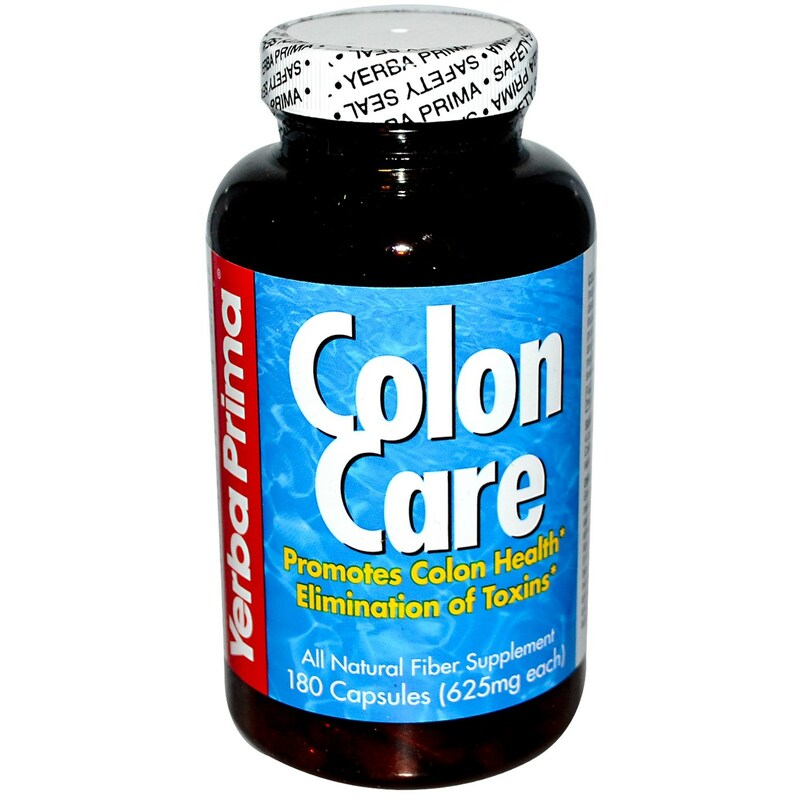 Colon Care Formula is a simple, healthy way to help assure adequate essential dietary fiber. Directions: Start by taking 1 serving each day. Gradually increase to 3 servings per day if needed. Best taken just before or with meals. Swallow one capsule at a time. Take each serving with at least 8 ounces (a full glass) of liquid. Drinking additional liquid is helpful. If minor gas or bloating occurs, reduce the amount you take until your system adjusts. Directions: Start by taking 1 serving each day. Gradually increase to 3 servings per day if needed. Can be taken either between meals, or with food, as desired. Stir powder briskly into at least 8 ounces (a full glass) of liquid. Juice, water, soy drink, rice drink and milk are all good with Colon Care Formula. For easiest mixing, shake powder with 8 oz. of any of the above liquids vigorously in a closed jar. Drink immediately. Drinking additional liquid is helpful. If minor gas or bloating occurs, reduce the amount you take until your system adjusts.